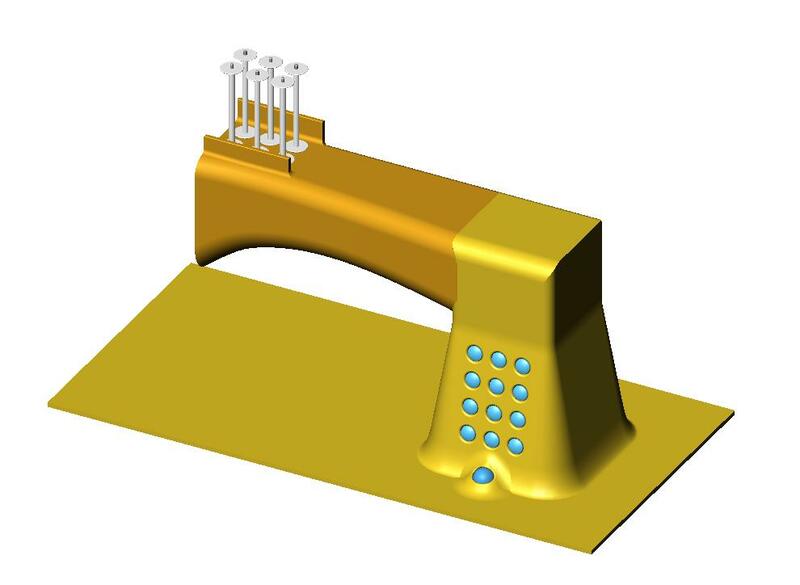 In engineering design of machined parts, there is often a misunderstanding of meaning when someone uses terms like ‘economical or low cost design’. Conditioned to think of cost in terms $$, many often overlook the factor of time, most significantly in the context of machining steps — operations, iterations, repeated passes, etc. 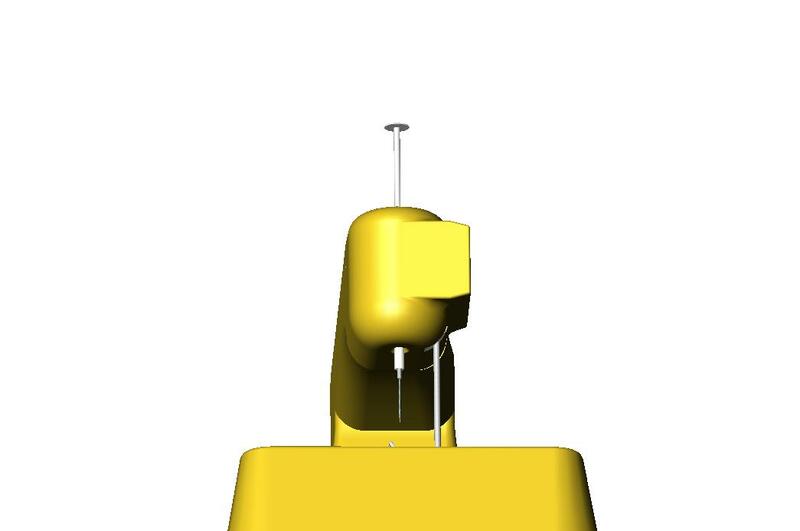 Whatever we can do as designers to reduce the number of operations & iterations in the machining process saves $$$. This is what time study engineers do — analyze ways to streamline a task process. For instance making a series of circular features concentric — even when this may not be crucial to the design — can significantly assist those in the machine shop & inspection area to more swiftly and effectively complete their tasks. 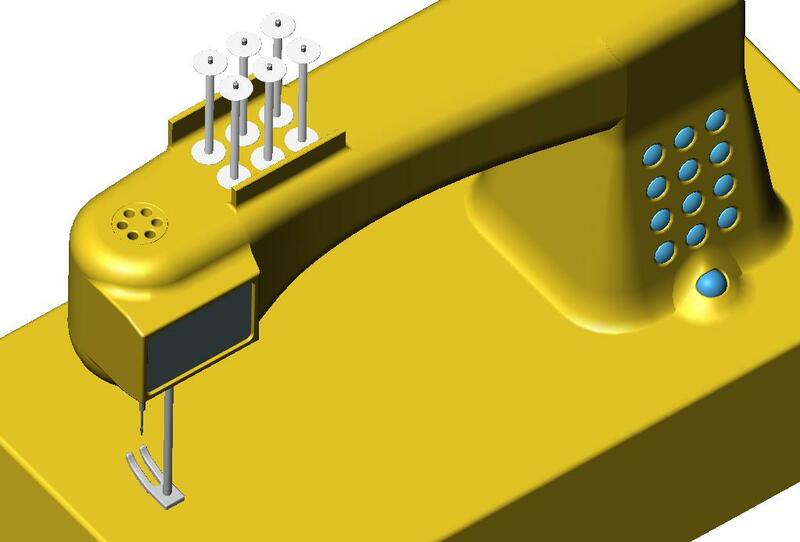 One of the features which sometimes befuddles folks is the Sweep(in SolidWorks), whether an extrusion or cut. I will address some tips in this area. 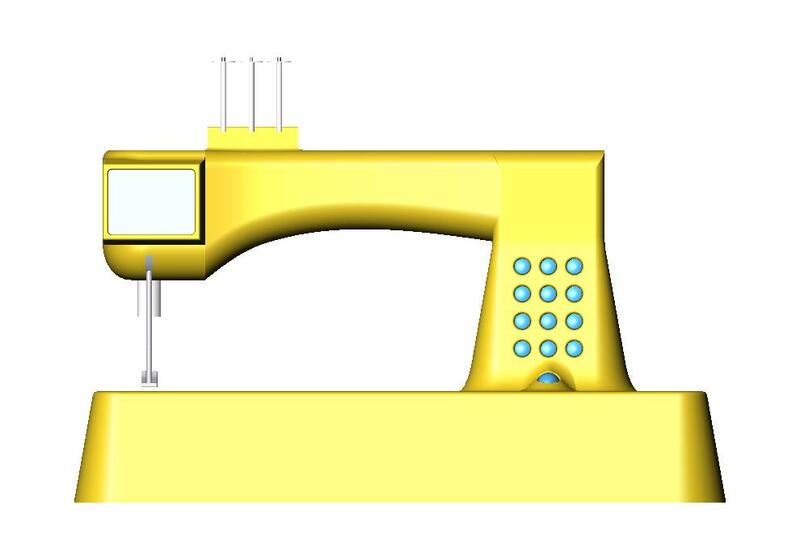 However, it is important to keep in mind that it is a mistake to presume that just because you can design a 3D model, it can be machined. 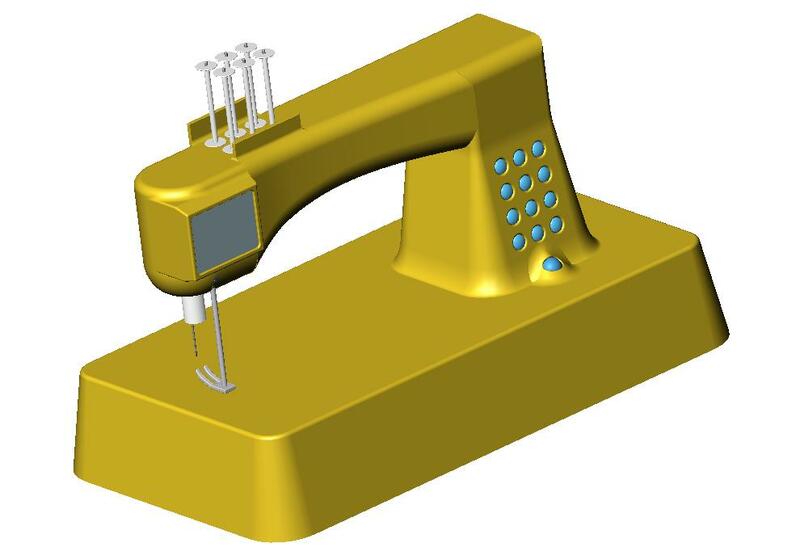 It is also true that a feature you apply in a CAD design may not be able to be machined in an analogous process. For instance, a sweep along an edge of a circular part is a fairly simple lathe operation. However, a sweep along a polygonal part is more complex. For some machining systems, working their way around a 4, 5 or 6-sided part is not so challenging. For others, it is a harrowing issue. 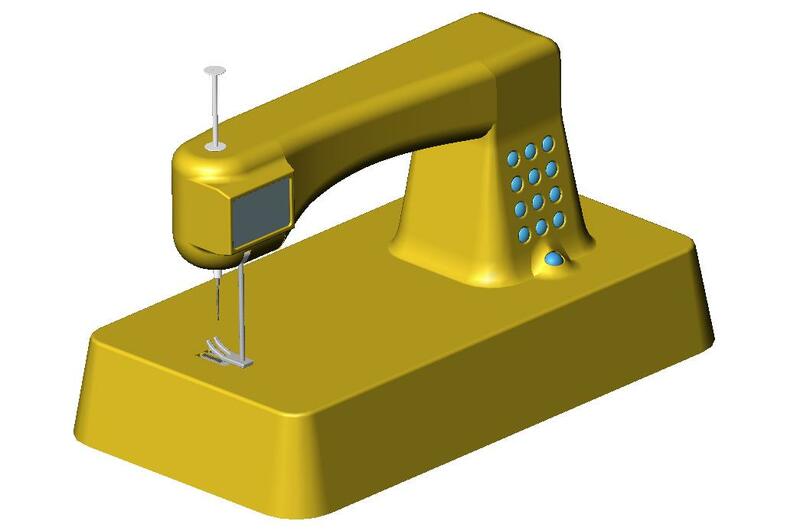 Allow me to reiterate: CAD is not a stand alone tool/premise/concept — it was always conceived as a partner in CAD/CAM = “Computer-Aided Design” & “Computer-Aided Manufacturing(or Machining)”. 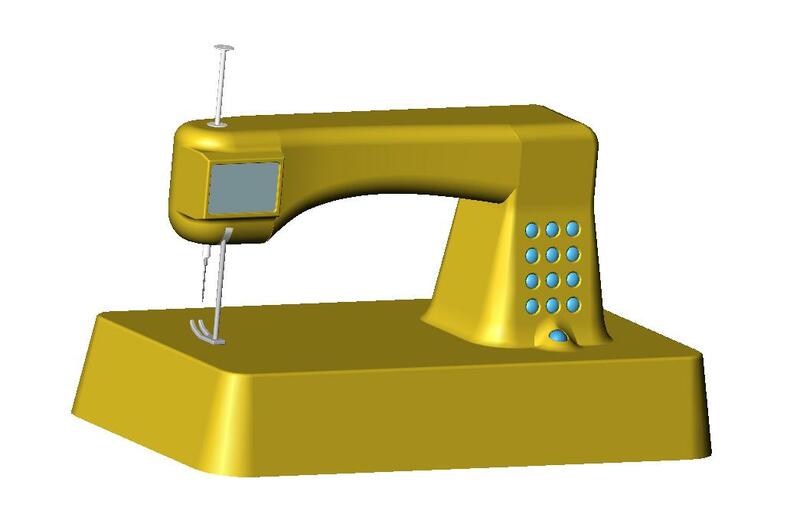 Once you have completed your model and submitted it to the shop, they must go through a process of conversion to their CAM software to program their CNC machines to actually do the work. Some users and others are coming to CAD fairly recently, and may be unfamiliar with its origins, how it got to be what it is today. Having been in the design field since well before its introduction, I thought I might be able to share some insights. This is pertinent because in many instances, the actual process and mindset one needs to bring to the CAD process is ensconced within the process of its evolution. I consider this to be important because, as many CAD polyglots will tell you, there are certain challenges which seem largely identical across certain types of CAD apps. This is also pertinent in that it further underscores the veracity of the premise that what you learn — in terms of technique/process — on one system is generally mappable to others. This close up shows the type of thread spool arrangement I spoke of in the previous post. Of course, a mounting arrangement must be configured to hold the spool steady, allowing the thread to pull off, instead of the usual where the spool spins as the thread pulls off. However, you can see this arrangement minimizes potential snags, etc. It also allows for the entire needle cartridge to be lifted up through the top — and threaded at eye level(!) — before being reinserted, and the bobbin/spool being replaced. A variation in design, utilizing a single needle/bobbin(upper) — whereas the previous configuration is better suited for embroidery. One of the design goals is to bring the thread feeding internal to the machine, an adaptation of say the hand towel dispensers in some restrooms where the paper comes out of the center of the roll, instead of along the outside. This requires a different bobbin design, which is more challenging, but nearly complete. 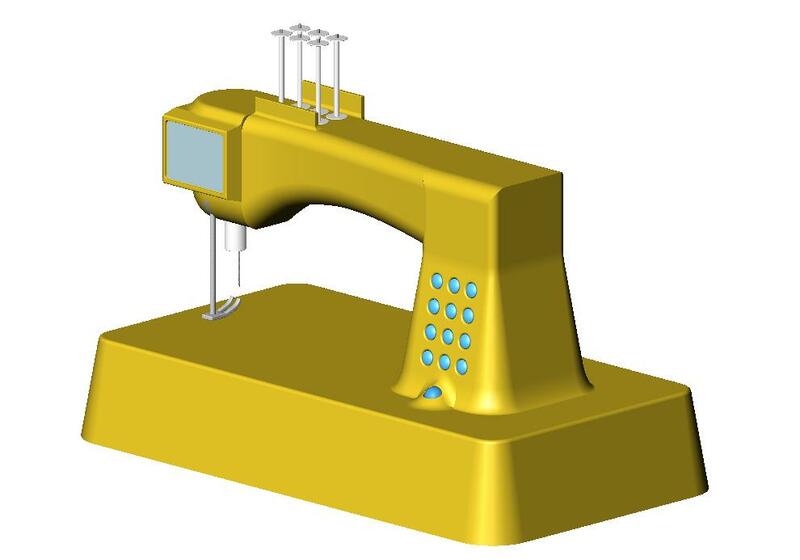 The benefits include fewer objects, things which can get caught on fabric, fingers, etc. If you have ever a thread become unknowingly caught, and the bobbin end up in knotted disarrary, you know how frustrating this can be. 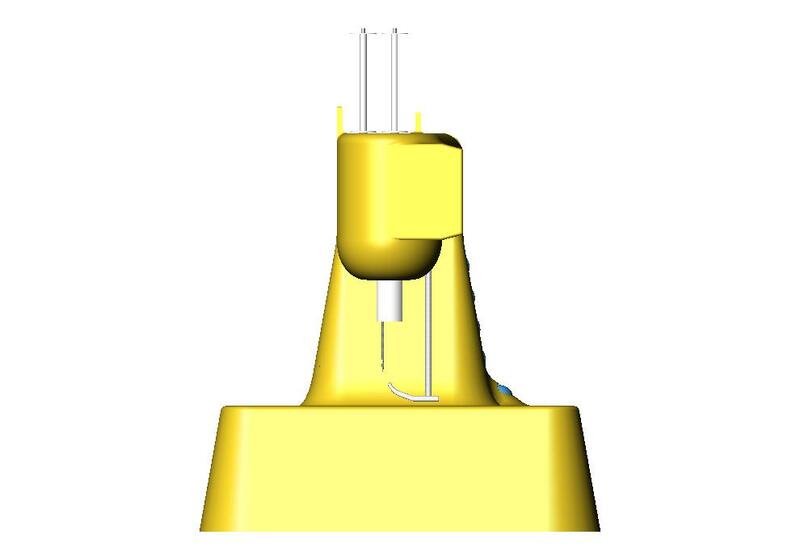 This arrangement also allows for a simpler loading/unloading process of the needle assembly. I’ve been continuing to revise & tweak the design, adding in some things from feedback I’ve received from some folks I know who sew. As you will see in the close up below, I have added feed-throughs for the thread from bobbin to needle. 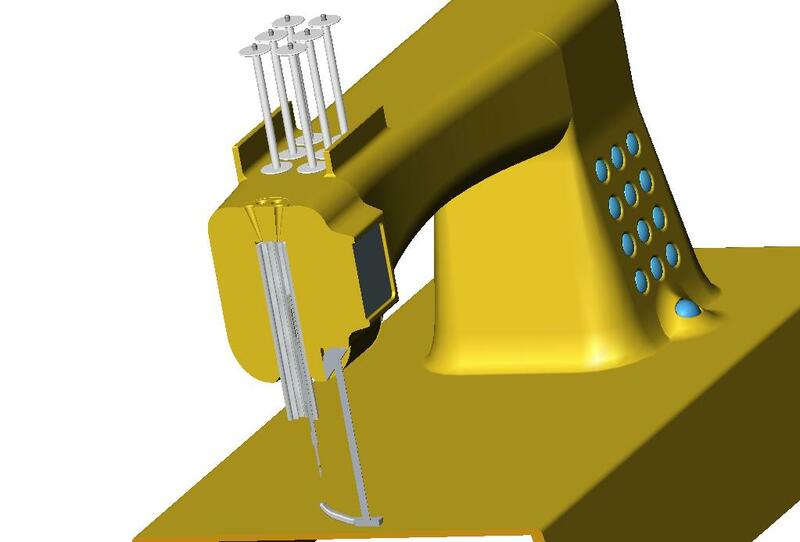 These are some shots of a sewing machine design I’ve been fiddling with in SolidWorks. It’s almost there…a few developmental images. This was the first assy, with two of the main components — vertical pillar/controls & arm assy — the drive assy came last. Coming up with a visual style which would be considered ‘advanced’, without being boxy, or sacrificing aesthetic efficiency was the first challenge. 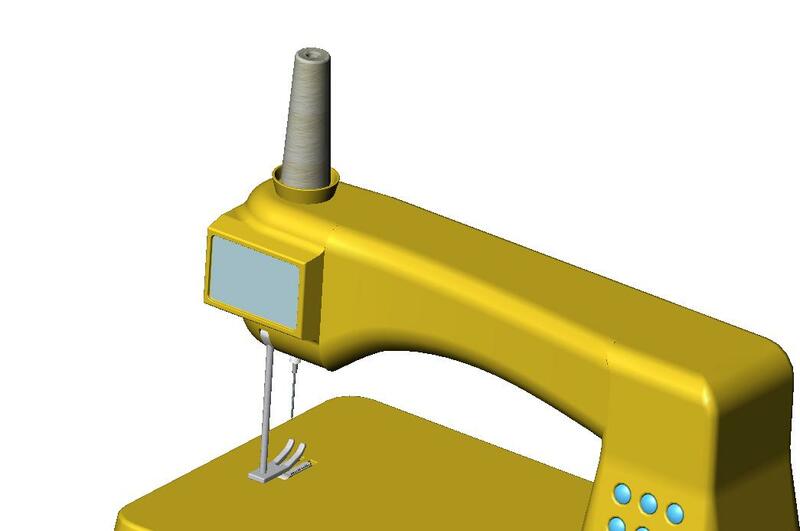 Integrating the control features expected today, along with visual interface and widely proliferating CAD apps for sewing was another key one.